At the end of her tether and determined to protect her family from her violent step-father, Flea makes a plan that could get rid of him for good. Will she overcome the odds? Flea is an inner city kid. Hers is a tough world, a rough world, a kick-in-the-guts and a spit-in-your-food world. She's small, but she's got heart and she's got smarts. She loves her mum Mighty and her sister Little Sis, but her mum's new boyfriend has come and shaken up their world with violence and fear. Flea does odd jobs to earn the money to buy drugs from the older and cooler estate kids thinking the pills will make her invincible against the beatings she endures from her step-dad. When that doesn't work, Flea buys more drugs. But Flea also has a very clever and surprising plan up her sleeve that no one sees coming. Flea is a stunningly uplifting and surprising 21st Century tale of overcoming all the odds. Discover great programmes from the latest dramas to archive documentaries. 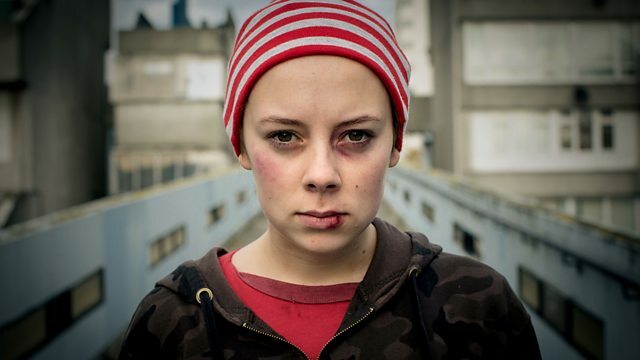 Three short films showcasing the best of new British talent, exclusively on BBC iPlayer. The iPlayer Shorts strand is a bold and exciting new venture. "One of the biggest challenges was casting the right Flea." Shakeel Ahmed talks about his writing process for My Jihad. Kai talks about William's ambitions of escaping the country life. Alfie Kingsnorth explains why Jay makes his own horror films.